Our range of products include 2 port gsm gateway, fxo gateway and fxs gateway. 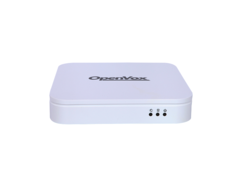 OpenVox iAG804/iAG808 FXO Analog VoIP Gateway supports 4/8 FXO¿¿ ports. With features of small size, exquisite enclosure and high performance, the iAG Analog VoIP Gateway is specially designed for saving space and maximizing cost savings, it is ideal for SMBs and SOHOs. It can be configured for different country uses, provides a wide selection of codecs including G.711A¿¿¿G.711U¿¿¿G.729¿¿¿G.722¿¿¿G.723¿¿¿ILBC.The iAG Analog VoIP Gateways use standard SIP protocol and fully compatible with Leading IMS/NGN platform, IPPBX and SIP servers. 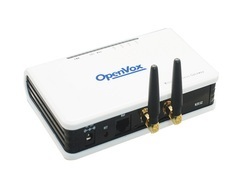 Compatible with Asterisk, Elastix, 3CX, FreeSWITCH Sip Server and VOS VoIP operating platform.